Habits are skills that follow those neural pathways so they are done without thought or intent; they're just what we do. They're taught intentionally, but naturally in a Charlotte Mason context. It's almost the opposite of Atmosphere in emphasis. While the atmosphere is just kinda there, discipline is imposed; whereas the atmosphere can be intentional to some extent, habit can be caught. The same general outline of a lesson follows a habitual order: we start with what we know, add to what we know, recreate it, and leave clear the pathway to add more in the future. The thing with Charlotte Mason is that she observed how people learned, studied it more in depth, and told it. It isn't magic. My friend's husband said – this just how people learn. Agreed. But it isn't how people generally teach. For scaffolding, the discipline of habit is to take what good learners do and teach others to do that. So we start with, perhaps, my favorite metaphor. Andrew Kern of the CiRCE Institute says we start by playing with the puppies. We introduce a lesson with what we know or by introducing what we ought to know. We get our hands on the geometric solids or go looking for different kinds of columns or visit a historical place or listen to a piece of music or look at a beautiful painting. We teach our kids to observe: look, listen, touch, feel, notice. This is all habit. We teach them to pay attention to the world around them, to the pencil and paper so the letters are written just so, to feel of the breeze or the smell of the flower, to the wriggle and softness of the puppy. 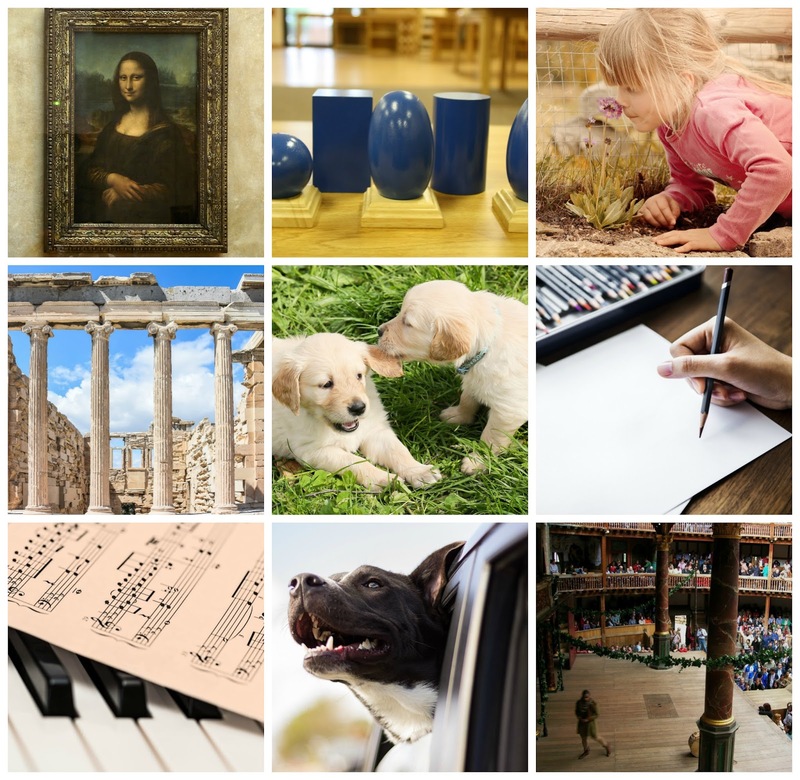 There are millions of ways to “play with the puppies” because there are millions of ideas. Next time we may not have puppies but we can re-mind what it was like with some gentle open-ended questions. We can ask them “What did we read last time?” or “Where did we leave off?” This establishes or reestablishes the grounding support. We can prepare students to read with some support. After pre-reading – or even skimming – we can help them notice proper nouns with a white board or even a post-it note. We can teach them to watch for proper nouns so their narrations have depth, are complete, and – written - have proper spelling. We aren't trying to set up the ideas they're going to narrate, but helping with people and places, dates and active ingredients, we are teaching skills for good reading. When they come to the 're-creation' step - whether that is narration or do the math problem or play the piece – we can pay attention. With a smile on our face and our listening ears on. Are we treating them as an interruption or a person. (oops! Atmosphere snuck back in there). Many scaffolds are tied into the building itself as a safety precaution; in fact, I watched a crew do this on our recent vacation. 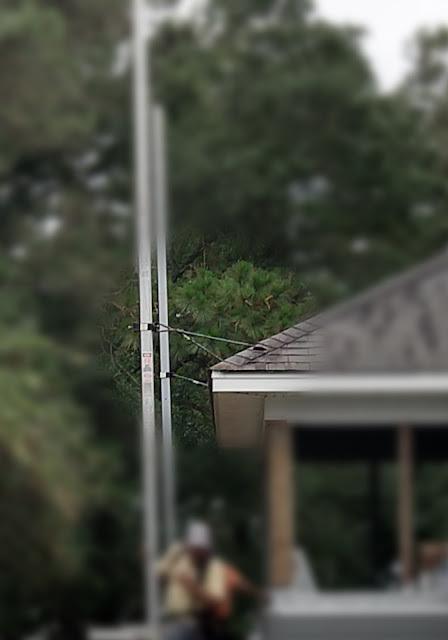 Can you see the tether to the roof? I think of the practice of Keeping like this, it's a layer that ties the lesson, the scaffold, to the building. It's not an extra, it gives extra support and stability, though. So, after we've narrated or recreated the lesson, in our keeping – be it a nature journal, book of centuries, commonplace, or any of the myriad notebooks one can keep – we have that final step to help tie everything together firmly. Are we interested in the children's Keeping? Are we keeping ourselves and comparing and discussing? It is important, not adjunct or extra. As we discuss, we give respect to their ideas without shutting them down. We leave doors open for them to add or change course in their understanding. Leave them their Aha! moments. That joy is what drives future seeking out of ideas. But do you notice that a large part of the habit here is, um, yours? 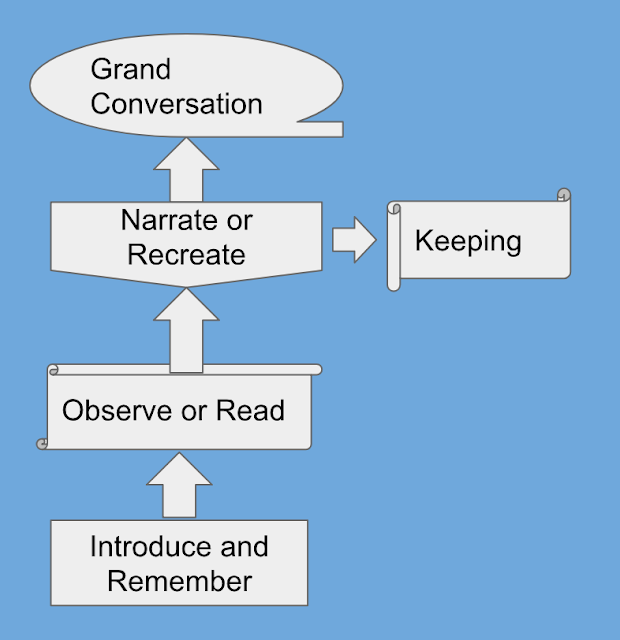 Preparation, pre-reading, listening attentively and interestedly to narrations, keeping, participating in discussion? These are all habits the Mason educator should be cultivating because they contribute to the atmosphere of the schoolroom and the habits of your students. If you aren't interested in Aethelred the Unready, why should your student be? If you refuse to see the beauty in 3x=12, how will your student? If their ideas aren't valuable to you, you cannot expect yours to be valuable to them. 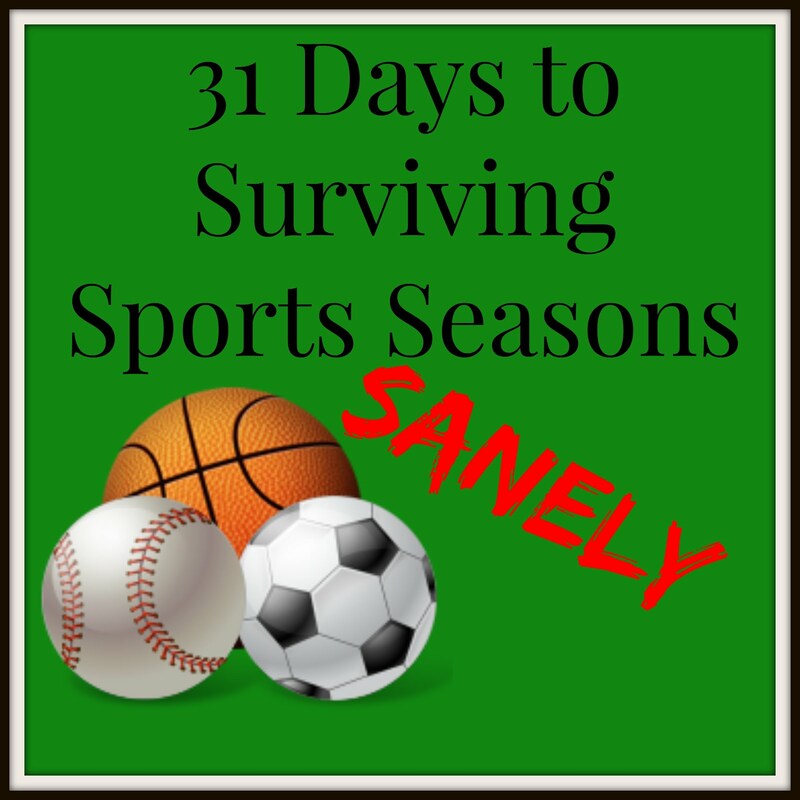 There's that atmosphere again – but it's your habits that are affecting the atmosphere. The instruments are tied together. 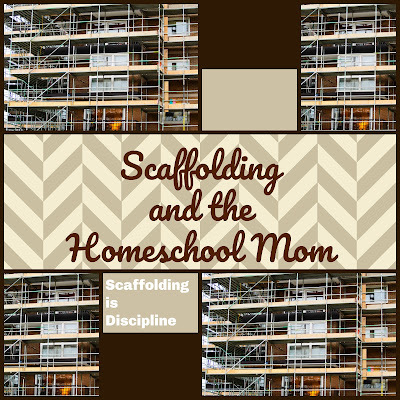 The student's habits of diligence, attention, tidiness, observation, wonder, keeping, and interest, all of those must be taught, yes, but they're also caught from the way you scaffold your homeschool. Tidiness is not one of my best habits. I can tell every time I walk into my homeschool room and see how my children have left it. May need to focus on that for all of us soon: these are habits for life. Habits affect the social life, home life, school life, and lesson life, just as atmosphere does. Good habits build relationships with people outside and within our immediate sphere. This is part of learning and you teach this as surely as you teach phonics. Habits within the home affect relationships with the people within the home. 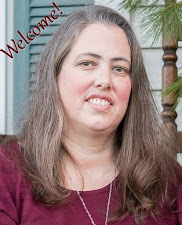 Just as my husband would very much like me to habitually care for the laundry more consistently, and teaching my children homemaking skills would behoove us all, Habits of attention and focus and narration are all important during lessons for continued upward growth in wisdom, stature and favor with God and man. Habits define our manner which simply expresses how we love God with our hearts, souls, strength, and mind and our neighbor as ourselves. You can see how the evenly built layer upon layer of a scaffold helps a student to add to their building carefully and consistently, but it also helps them learn to love God and to love others. 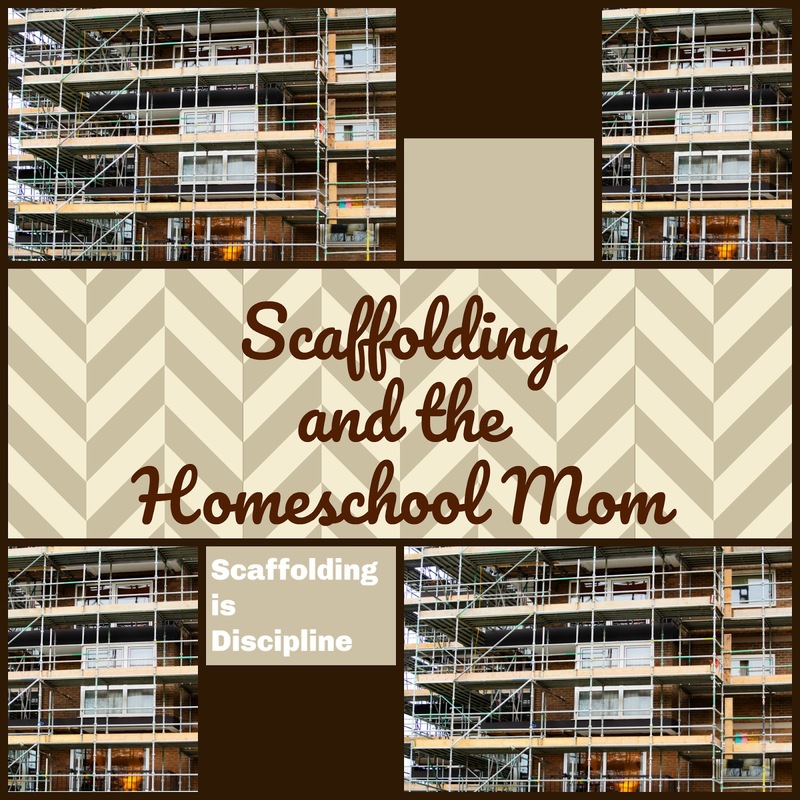 The habituation of scaffolded lessons both supports children as they learn to live this way and teaches them to build their own scaffold for lifelong growth and learning. As their understanding and their relationships grow through the use of good habits, the routine of learning becomes ingrained and established. I was talking with a friend who said that during summer break without the structure of routine she really struggles to continue with her own study and learning. Good habits matter to the life of ideas.